On the surface, a roof looks like a simple layering of shingles. However, it’s actually much more complex than the average homeowner realizes. It is a system composed of layers of different materials that work together to keep your home protected from the elements. 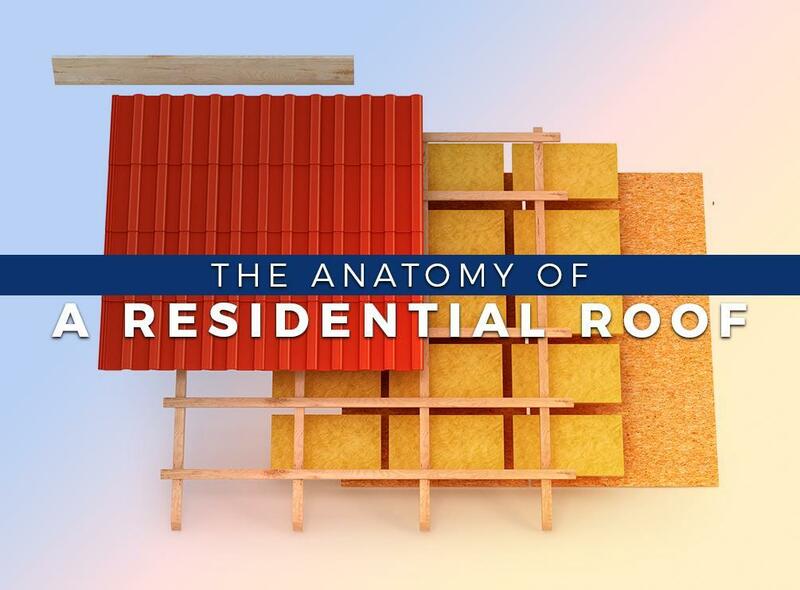 Here’s a look at the different components of a residential roof. The decking is the base on which everything else is laid. Materials vary, but most homes have plywood. Other materials include polystyrene, concrete and metal. The decking is then attached with nails onto the rafters, creating the whole foundation of the roofing. The underlayment is installed onto the decking, before the installation of the shingles. This component is usually made of felt or similar water-resistant material. It provides a moisture barrier against wind and rain as an extra layer of protection in the case of broken shingles. To help minimize leaks, each layer of underlayment is rolled with an overlap. This component of the roofing system consists of angled aluminum strips nailed into place over the underlayment on the sides of the roof, at the edges and beneath the underlayment at the eaves. Its purpose is to prevent water from building up by guiding it over the eaves and into the gutters. Moisture is any roof’s worst enemy. As flashing prevents water leakage, it extends the overall life of the roof. It is a piece of sheet metal comprising aluminum or galvanized steel. It is often strategically placed over joints in the roof and wall construction to prevent water from entering the home. Whether they are asphalt, metal or clay, the shingles are the first line of defense of your home’s roofing system. When installed and working properly, they provide your home with the protection it needs to withstand constant exposure to the harsh weather. Asphalt roofing shingles are among the most common materials. Caring for your roof means protecting your property for decades to come. Rogers Roofing can provide you with materials that complement your home. We serve Dyer, Munster, Tinley Park and other nearby areas in IL. Call us today at (219) 228-8210 or (773) 492-2270 for a free quote.